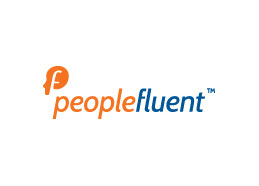 Leading social HCM technology firm Peoplefluent has announced Peoplefluent TalentUnity, a unified workforce acquisition solution combining recruitment and contingent sourcing workflows into a single interface. With TalentUnity, managers, HR professionals, and recruiters have comprehensive access to a total workforce talent pool in support of strategic decision making. TalentUnity helps to identify, attract, and onboard the best talent, regardless of their status as hourly, salaried, or contract employees. The solution also includes business intelligence and analytics, combining data from recruiting and contingent workforce management systems. This single-source interface provides total workforce visibility for key insight while making strategic decisions. It is also the only solution enabling hiring decisions based on information gleaned across recruiting and contingent workforce solutions. The similar user interfaces used for recruiting, applicant tracking, contingent workforce management, and business intelligence simplify the user experience while delivering an integrated view into recruitment pipelines, talent pools, preferred vendors, and other stand-alone talent-acquisition and management products.